Please refer my last post on How To Trade When Volatility is High where in Section 4 I mentioned that you can try arbitrage trading as during high volatility, the Futures premium will swell giving great opportunities in arbitrage trading. In a nutshell arbitrage trading is an opportunity where the trader tries to profit from the difference between prices of different trading instruments of the same underlying. The most popular of them all is to buy any stock in cash, and sell its Futures. Since Futures has a premium – this is the traders guaranteed profits on the expiry day. On the expiry day price of Futures and the stock will be same, hence giving guaranteed profits to the trader minus the brokerage and the taxes. I also gave an example of arbitrage opportunity in the stock HDIL with live premiums as on 18th of January 2016. For more details please read this post. Since VIX is high now there will be many more arbitrage trading opportunities in the stock markets especially in the Futures/Cash segment. One of my blog subscribers emailed me with a few interesting questions. I thought to convert this into a post in itself. After reading this post you will learn the pros and cons of arbitrage opportunities in stock markets. Here is his email. Please read his email to understand my answers better. Myself Abhi (name changed), taken your course in January 2016. Thanks a lot for such a good course. I am really benefited with the course. Recently I was going through one of your article about arbitrage where you have taken the example of HDIL. What I understand by arbitrage is that if there is any price difference between actual share price and its future price then we can apply this method and it is an guaranteed profit. Profit = (future price – actual share price) * no. of shares per lot. I got your point about volatility that due to high volatility price difference will be there to make good profits. 1) Should we really care about volatility? We just need to find the stock whose future price is greater than the actual share price, whatever is the volatility. Finally, at expiry we should be in profit. Please let me know is there any point I am missing here. 2) Is there any scenario where we can be in loss or is this always a guaranteed profit strategy? 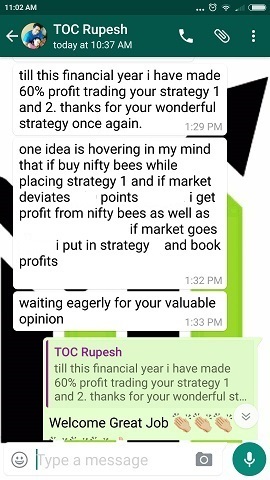 3) If this is a guaranteed profit strategy then why this strategy is not followed by lot of people? Also is it not something deserved to be in your course. 4) You have explained all positives of this strategy beautifully. Could you please share some negatives also about it so that we have complete knowledge about it. I also searched for TCS. TCS share current price is around 2290 and its March Future is at 2314. So the difference is 24 Rs. 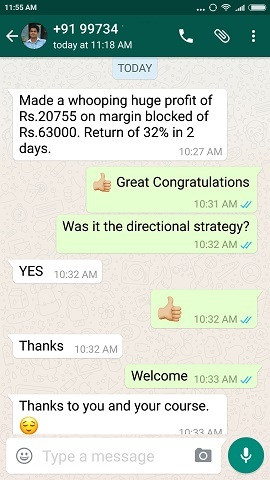 As per this arbitrage strategy Rs. 24/- per share is the guaranteed profit at March 2016 expiry. Could you please let me know if I am correct in my understanding? 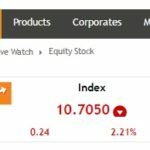 I searched for this stock only but there might be numerous stocks like this. Hope to get your reply soon & Thanks a lot in advance. 1) You are correct. Volatility does not matter. If you can find a stock having huge difference with its Futures price, profit is guaranteed. No need to care about volatility. 2) No scenario of loss in arbitrage strategy, though profits are smaller but guaranteed – every time. There can be slippages though and that’s the only issue. For example as soon as you close the Futures trade in profit and the stock falls 1% then that is the risk you need to understand. In such a situation close the stock first, and then close the Future as it is in profit. But then the stock can move a few points up and you may lose the profit in Futures. To counter such a situation I suggest open the trading platform in two different browsers and try to close the both the trades as soon as possible without wasting too much time. b) Another reason is, now days its very hard to find such arbitrage opportunities giving meaningful returns. c) Liquidity in most stocks is very poor in India especially in Futures. You may find an opportunity but you will see that no one is trading. Ask and bid price difference in Futures will be poor. d) Profits are small. Less than 1% a month is not very attractive. If stock soars, you will not be able to profit even if the stock doubles in 6 months. You will only make 6% in six months that too in the best case scenario. You will then regret your decision to arbitrage. e) Trades are boring. It is really not very exciting to wait full 30 days and make just 1% on your trade when you can actually make more through the non-directional strategies in my course. Humans hate anything boring. So these trades are not very popular. f) Lots of cash is required to trade this strategy. Minimum lot size in stock is now 4-5 Lakhs. Over 95% of traders do not have this much cash in their trading account. Those who have, are not satisfied with 1% return a month. They are high net worth individuals, and are willing to take risk and make more. 1% a month is not attractive to them. For example taking your TCS as example, you will make some Rs. 4800/- in 60 days. TCS lot size is 200 and price difference is 24. So 24*200 = Rs.4800/- is guaranteed profits. Margin blocked in this trade will be 2290*200 = Rs. 458,000/- minimum. This converts to an ROI of (4800/458000) * 100 = 1.04% in 60 days. Approx 0.50% in 30 days. This is NOT a good return in any sense. This when VIX is high. Imagine the kind of returns you will get when VIX will be on the lower side. I have not even deducted the brokerages and taxes. After that probably you get to keep 0.40% in 30 days. In stock markets you should take calculated risks to make more money, but 0.40% return is just not worth any kind of risk. Not even in the US where 1% a month return is considered great. So why it does not deserve a place in my course? No one would like a strategy that guarantees just 1% or less per month. 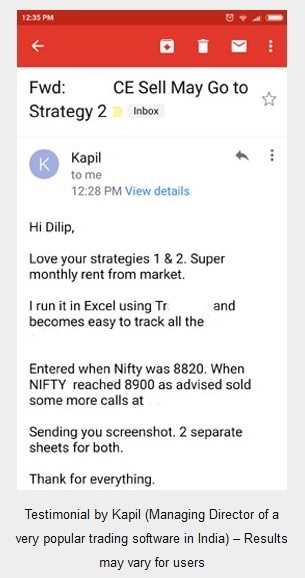 Convincing people to buy strategies that can make 3% or more per month is difficult; forget about telling something that makes 1% a month even if guaranteed. No one would care for 1% a month strategy, including myself. They will think I am a fool. Also, it will give me a bad name to sell something that only a few people can trade and which is known by most advanced traders. I cannot destroy my name for 1% return a month. And in fact even I am not interested in selling something that I would rather teach for free. This strategy has no negatives except poor returns. All in all after paying brokerages and taxes, you will end up making less than 10% in a year. And since it is almost certain that you will not hold any stock for more than 1 year – short term capital gain tax will come into effect. It will take some more money out of the profits. So you remain somewhere in the range of 7-8% per year. In fact if you keep this money in a good medium to long term debt fund for 3 years you end up making almost 10% a year return and you do not even have to pay taxes on them. On top of that there is no need to look for arbitrage opportunities in stocks and no need to trade as well. All in all arbitrage is a good to trade only when you are getting more than 2% in a month for the margin blocked, else I would say markets have better opportunities to make money. If you are good trader look for better opportunities to make money. 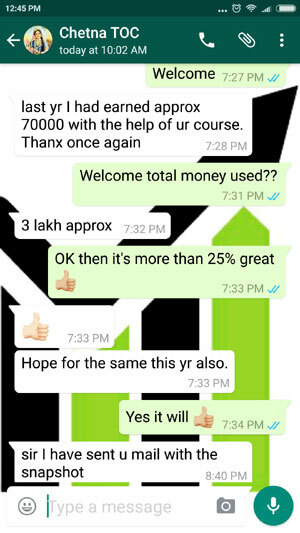 Hope a lot of your doubts are cleared on the arbitrage stock trading. If there are any more please ask in the comments section.